LoraSaysSo! : HD Beauty - Find out your skin care type and more! HD Beauty - Find out your skin care type and more! 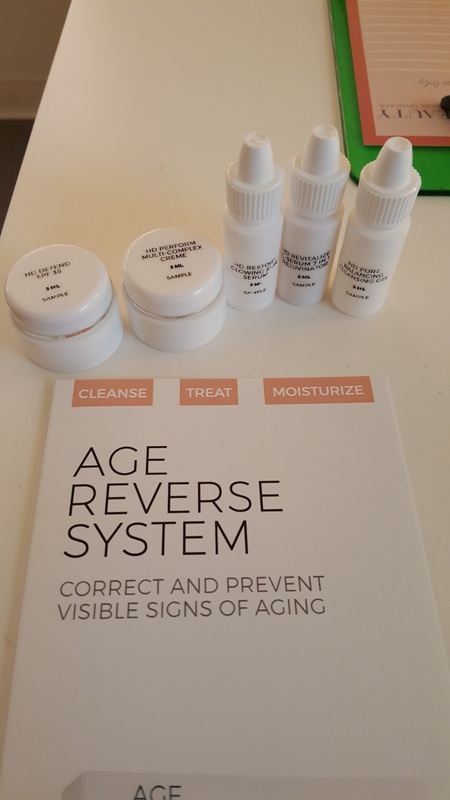 Skin care is something that I have been more and more interested in as I get older. I have noticed my skin becoming more dry with an uneven tone over the years and wanted to do something about it. 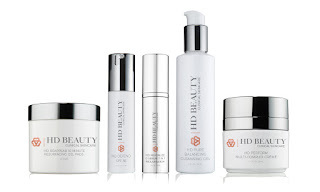 I was recently introduced to the HD Beauty skincare line created by Ms. Melanie Trehan. 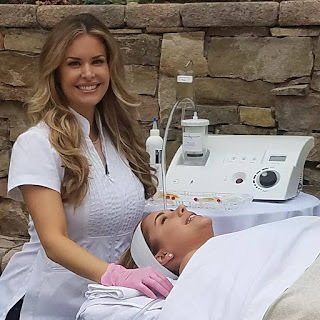 She is a certified master esthetician and known by many celebrities as their personal skin care guru! 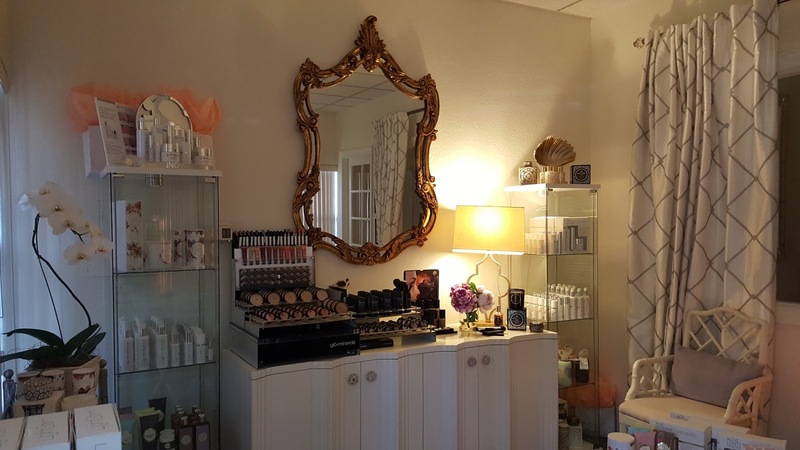 Melanie has a full feature website where one can easily book spa appointments and/or purchase HD Skincare Products directly! Recently, Melanie launched a HD Beauty personalized skin care quiz on her website. I turned out to be skin type 3 which I think is accurate with my dry skin and red cheeks! The day came for my appointment! Melanie greeted me warmly and the boutique is very welcoming! After a little bit of paperwork, we discussed the results of the skin care quiz. 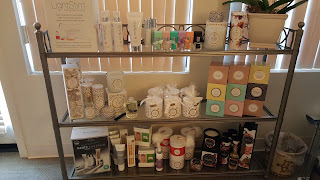 Melanie used the information to select customized products for my facial. This is the treatment room, isn't it nice and cozy? A robe and slippers awaited me! I got changed and was ready for my treatment! I asked Melanie whether people should come in with or without makeup. She said it didn't really matter because she starts each facial with a cleanser. 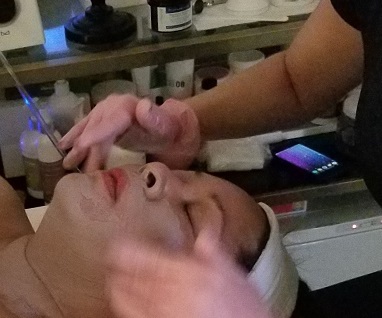 Part of the facial is making sure your pores are nice and open. She accomplished this with a warm towel and also some steaming! Melanie then used a bristle wand to scrub dead skin cells and vacuum them up. My face felt so clean after this brusque technique. Throughout the treatment, Melanie was massaging my face either when she was applying a product or taking it off. 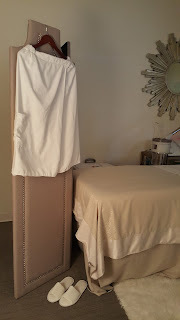 In any case, for me massage is one of the best parts of a facial! Melanie cleaned my skin thoroughly and then applied a blueberry antioxidant mask, good for hydrating and my redness. The scent was delightful too! I then had the LED light treatment for about 7 - 10 minutes. 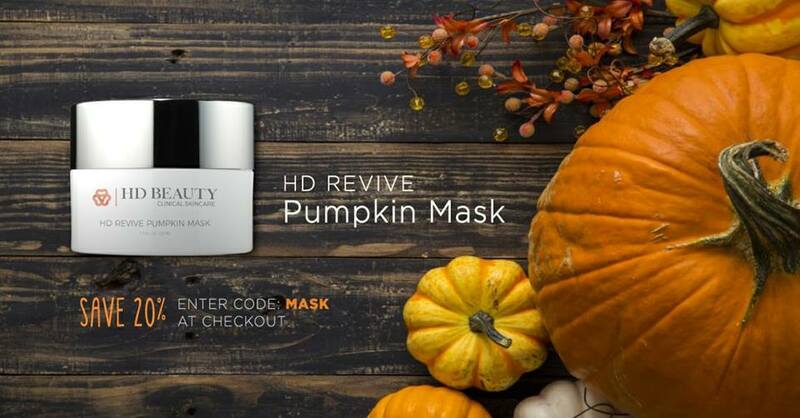 The lights helps to reduce pores, shrink hyper-pigmentation and promote collagen building! After the mask treatment, Melanie also gave me a light peel application. It was tingly! The whole process from start to finish took about an hour. 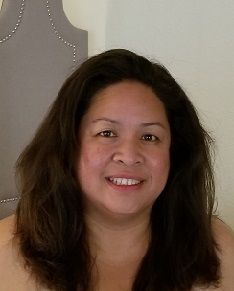 Here I am after my facial, bare-faced (with bedhead!) and feeling refreshed! My skin was soft and the redness on my cheeks was noticeably lighter! Melanie's recommendations for me were to wear sunscreen every day and to drink lots of water. She also set me up with some products to try from her age reverse system. To get the best results, Melanie suggests coming in for a facial every four to six weeks. Her hands are like magic and my results were immediate! Treat yourself and book an appointment with her today. Remember, find out your skin type by taking the quiz on her website! Just in time for the holidays, Melanie has released some specially-priced discounts which make great gifts for you or your loved ones! 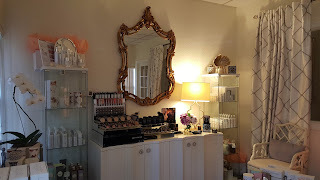 HD Beauty offers gift certificates and Melanie also does "peel" parties for groups and skincare lessons for all ages! Disclosure: I received a complimentary facial and sample products in exchange for this post. All opinions are my own.